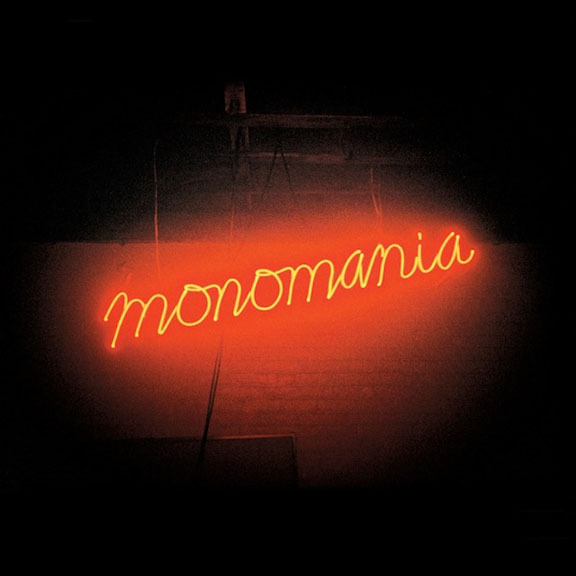 American Pancake: Album Review: Deerhunter - Monomania - "like a marshmallow rolled in a hundred carpenter's tacks..."
NEON JUNKYARD: Lovin this track. Sprinkled with what sounds like reverse guitars and bubbling bong noise (did I imagine that? ), it is thick in a trippy, noisy haze. Bradford Cox's vocals sound like a megaphonish John Lennon in spots. It is the type of song you want to hear often and just might discover new gems of sound each time you revisit it. LEATHER JACKET II: Built around a solid guitar hook, the wash of effects turn this into more of a soundscape of turmoil. In fact, at times it can feel like a live ending to a song when instruments are destroyed. This is the kind of song to drive your parents out of the room. THE MISSING: Lovely steady moving beat with trancy guitars that conjure up cool nights and wreaking gentle havoc. Pretty melodies and the solid bassline with really cool half steps in all the right places. This song plays like fond somewhat sad memories. It kind of embraces you. Sweet song. PENSACOLA: Like a Strange Boys sound drug through the gravel driveway this feels like down home country cow punk song that you want to dosey doe to. DREAM CAPTAIN: Heavy dose of 60's psychedelic glammy vibe. Could this be an ode to Blues Image? I doubt it but it made me think of them in a way. BLUE AGENT: The spartan production and staccato rhythms pull you into this song that feels like a story you want to fall into: "I'm a blue light... I'm a crippled coward, shining into the night"- Playful and a bit abstract which is always a good thing. T.H.M : Mellow with a pop heart. It is cool and quirky and actually reminds me of Nielsen, if Harry was in an alcoholic stupor :) "took to bullets to the brain... my kind brother he was insane" - One of the biggest surprises on Monomania. SLEEPWALKING: Cool sock hop Smiths style beat with dancy guitars. Fluid and fun with a care free romantic feel. Not a stand out track but it still works. BACK TO THE MIDDLE: Dancey track that straddles a hipster pop feel somewhere between Foxygen, King Tuff and The Strokes. NITEBIKE: Bradford Cox sings some truly evocative melodies while strumming guitar. Amazingly dynamic considering how stripped down this is. The third element working (and sometimes not) is the effect on his voice. At the beginning, the slap back is distracting to me and takes away from the song, I found myself listening to the effect more than the very cool melody and lyrics. PUNK (La Vie Antérieure): From the beginning super catchy guitar line, this track pulls you along. It is the kind of song that will be played around beach campfires.